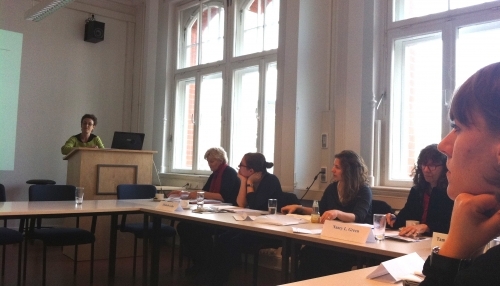 The workshop “Migrants as ‘Translators’: Mediating External Influences on Post World War II Western Europe, 1945–1973” was held last month in Hamburg at the Institute for the History of the German Jews (IGdJ) in partnership with the German Historical Institute Washington. 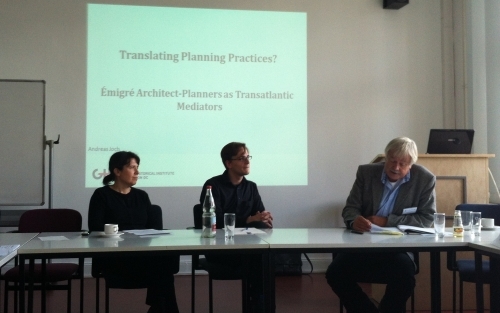 The workshop brought together graduate students and scholars to discuss the variety of roles returning émigrés and other migrants took on in postwar Europe. Below are some first impressions from the weekend. 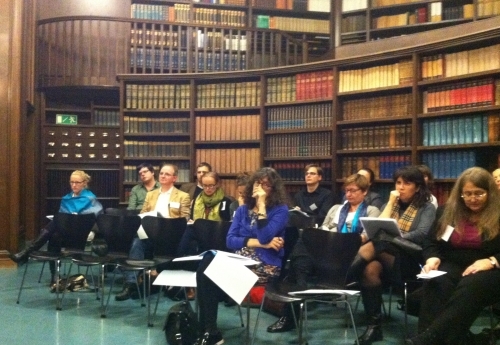 A full conference report to follow. ...and received feedback from their peers. 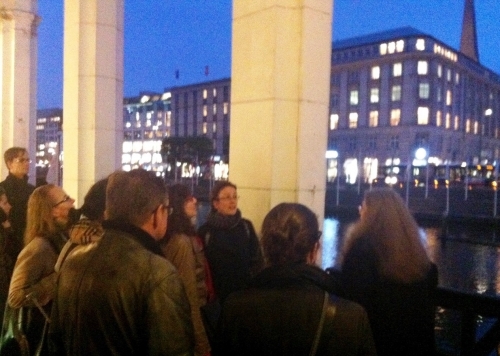 Director of the IGdJ Miriam Rürup led an evening tour of Hamburg, highlighting sites significant to the history of the city's Jewish community.